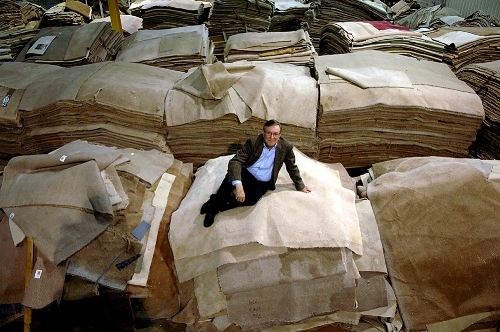 Ray Anderson (Founder and Chairman of the Atlanta‐ based Interface), sitting on the mountains of used carpet which are then broken down and recycled back into the manufacturing cycle. Casey Sheahan ‐ CEO of Patagonia since 2005 ‐ continues the company’s mission to ‘close the loop’. 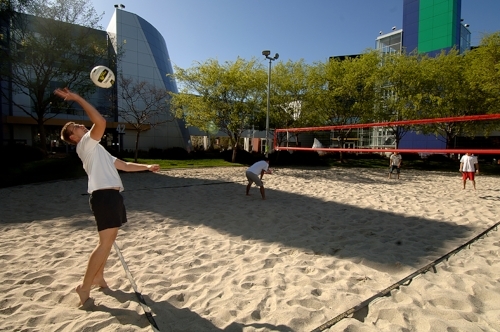 Google employees enjoying a game of volleyball at on Thurs afternoon. 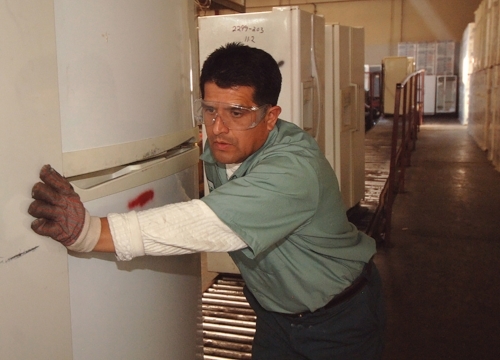 Southern California Edison work with ARCA Recycling Inc based in Compton (LA) to recycle old energy guzzling fridges and replace with new, more efficient ones. 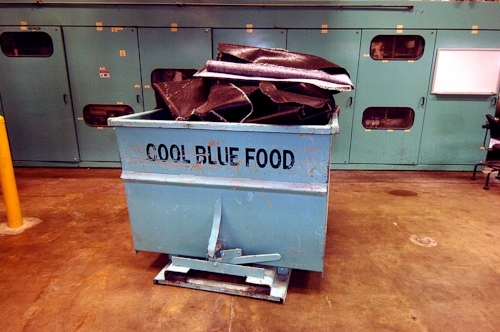 Interface names the carpet back recycled back into the manufacturing line as ‘Cool Blue food’‐ Interface is one of the pioneers of ‘closing the loop’ manufacturing where they collect used carpet and recycle it back into the manufacturing process… in doing so they make themselves far less reliant on resources such as oil. 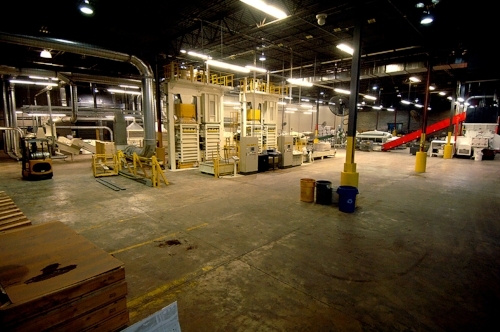 This area of the Interface factory recycles the old carpet fabric which was temporarily closed while waiting for their suppliers to green themselves. 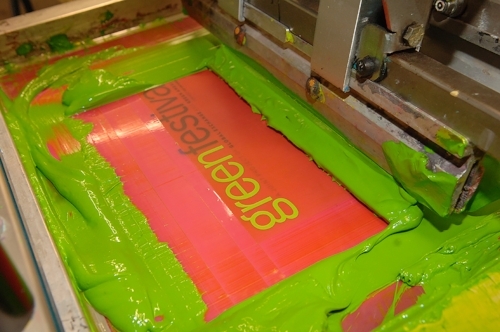 Interface underwent the challenging process of educating its suppliers on the merits of greening their manufacturing process. Gary Hirshberg, Founder & CEO of Stonyfield Farms speaking at the New Hampshire State Senate against the proposed $450m investment in an ageing coal plant – arguing that the money would be better invested in CO2‐free wind power. 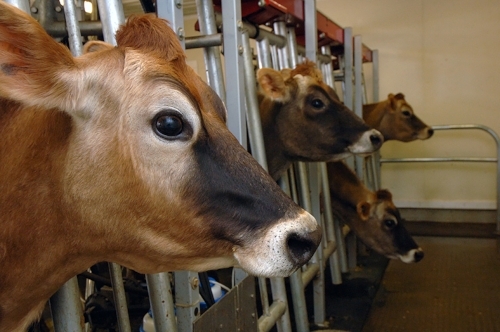 Stonyfield Farms ‐ US’s biggest organic dairy company now owned by Danone Group ‐ links employee profit‐sharing bonuses to environmental goals has an environmental “Mission Action Plan” designed to engage staff further. Jen Rapp playing with her daughter in Patagonia offices… her daughter attends Patagonia’s in‐house crèche (Jen’s husband also works at Patagonia) during weekdays… meaning that Jen and other Patagonia parents can pay regular visits to their children based next door to the office…. Interface cut a deal with Atlanta city council to capture the methane from the landfill and pipe it from there to power its factory’s energy needs in West Point, south of Atlanta. Interface’s net greenhouse gas emissions are down 71% against a 1996 baseline. Patagonia outsources the manufacturing of their organic t‐shirts to Compton‐based (L.A) Nature USA who use natural, environmentally friendly dyes when printing logos onto their t‐shirts. 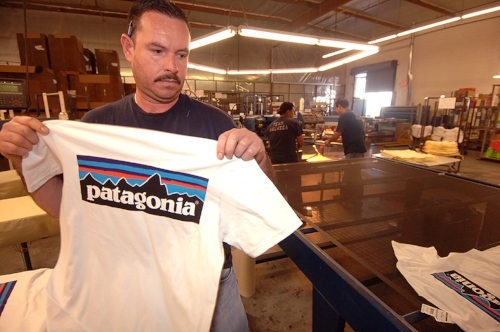 Patagonia moved entirely to organic cotton in 1996. 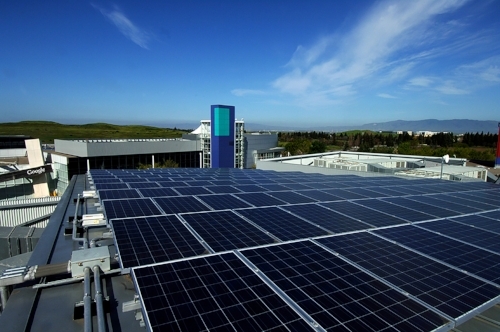 In 2007 Google installed 1.6MW solar panels at its headquarters ‐ 9,212 solar panels that cover the rooftops of eight buildings and two solar carports at the Googleplex. The cooling of Google’s data centres is down thru evaporation towers instead of A/C. 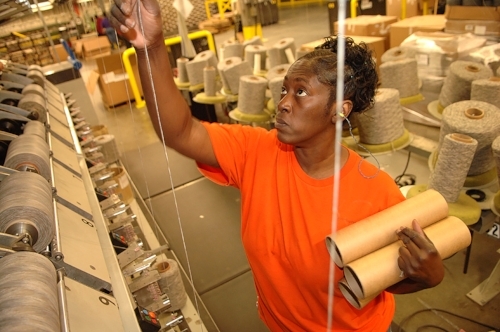 Interface’s recycling of nylon and fibre for carpets – a process it calls ReEntry 2.0 – is part of a comprehensive attempt to eliminate the company’s impact on the environment by reducing waste, reducing the company’s reliance on virgin resources. 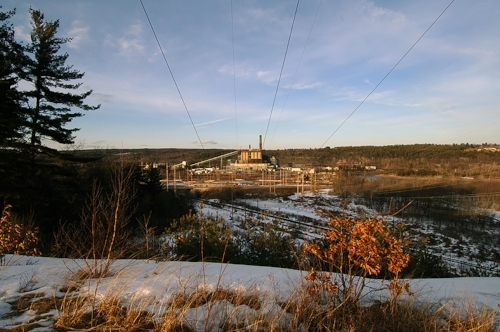 Coal plant at Merrimack – one of New Hampshire 2 coal plants. 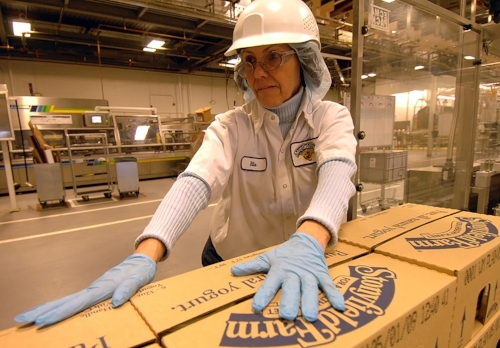 Stonyfield’s Gary Hirshberg is publicly fighting against a $400m investment to save it!! Arguing that the money would be better spent in investing in CO2‐free wind energy. 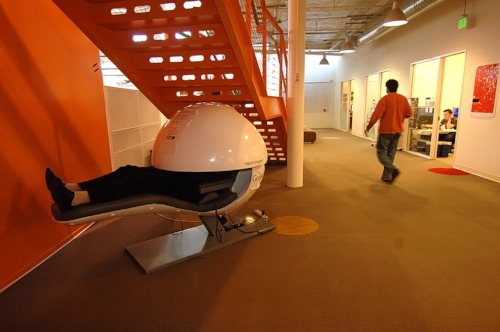 Sleep pods are scattered around Google’s funky offices to provide an environment in which they can re‐charge at the office/ seek inspiration. 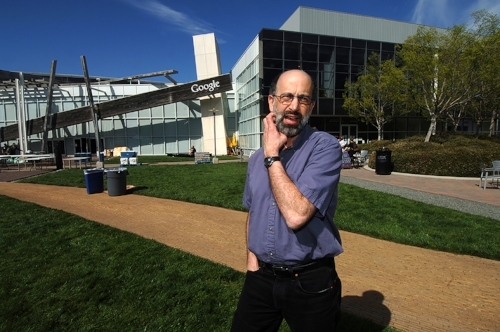 The cooling of Google’s data centres was their biggest energy offender. They now use water evaporation towers instead of A/C. Benign chemicals are used by Teijan, Japanese based company who recycle both Patagonia and their competitor’s used clothing. Patagonia encourage their customers to make fewer but high quality purchases. It is very rare to find a company encouraging customer frugality! Interface’s staff are highly motivated by the company’s green mission. Amory Lovins says that it is much easier for green companies to recruit and keep hold of the most talented people because their business and personal lives are no longer in conflict. Art Rosenfeld, California’s legendary energy commissioner who is responsible for flattening California’s total energy consumption for the past 20 years despite doubling of population during that same period. He is the pioneer of ‘decoupling plus’. 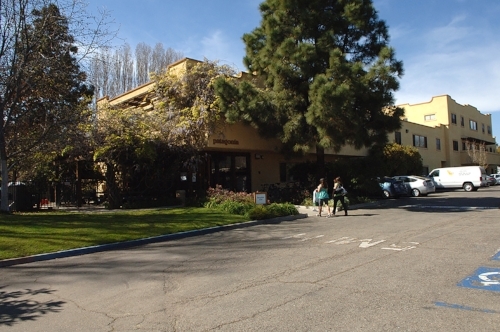 Patagonia’s HQ in Pasadena, California, manufacturers of environmentally friendly sportswear. 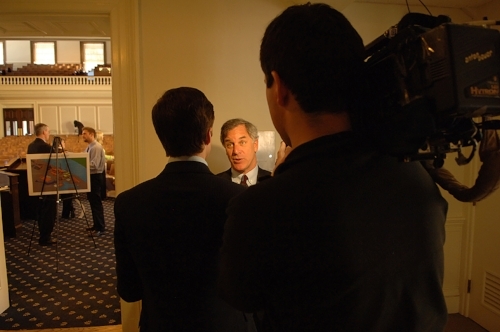 Gary Hirshberg, Founder & CEO of Stonyfield Farms speaking to the press at the New Hampshire State Senate against the proposed $450m investment in an ageing coal plant. Hirschberg ‐ a high profile eco businessman in US ‐ arguing that the money would be better invested in CO2‐free wind power. Patagonia outsource the manufacturing of their organic t‐shirts to Compton‐based (L.A) Nature USA who use natural, environmentally friendly dyes when printing logos onto their t‐shirts. Patagonia moved entirely to organic cotton in 1996. Ray Anderson, Interface Founder, experienced his ‘green epiphany’ on reading a chapter called ‘‘The Death of Birth’ in Paul Hawken’s ‘Ecology of Commerce’ which talked about species extinction – species disappearing on account of human activity. 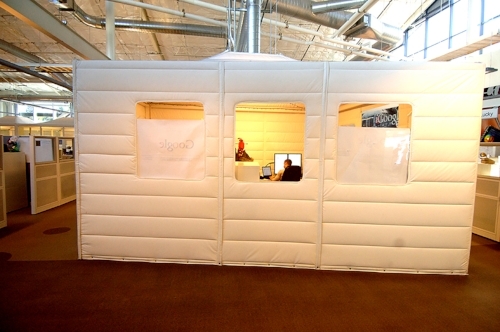 Many of these tents are scattered around Google’s offices – due to their design, the tents cool naturally and require no air conditioning. The cooling of Google’s data centres is done thru evaporation towers instead of A/C. Bill Weihl ‐ Green Tzar of Google ‐ has been charged by its founders to make the company more sustainable and to find energy sources price competitive to gas and coal. Google has invested over $40m in startups focused on this green mission. 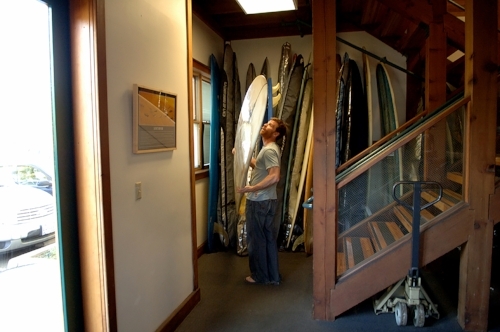 Many of Patgonia’s employees are surfers and mountaineers ‐ bringing them close to nature. Interface’s staff are highly motivated by the company’s green mission. 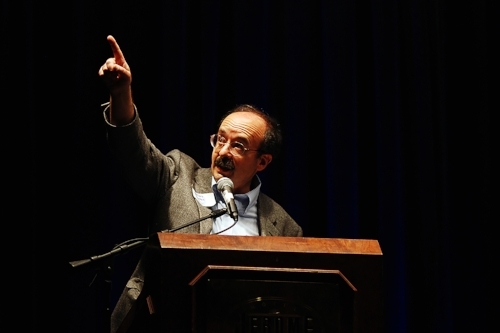 Amory Lovins, Founder of Rocky Mountain Institute and a legend in the area of sustainable businesses. He co‐authored ‘Natural Capitalism’ book. Seen here presenting at the RMI’s ‘quest for solutions’. Recycled carpets, eco-fleeces, organic yogurt and even a greener Google search – US industry is responding to the environmental crisis in unexpected ways. We meet America’s sustainable business leaders – the innovators who have reduced their energy bills, redesigned their processes and rethought their business models, in an effort to prove that you can be green and still make a greenback. In a huge, unassuming warehouse on the outskirts of Atlanta, Georgia, a businessman in his 70s is sitting on a pile of old carpet. There are more piles of carpet arranged around him, crammed into every corner of the building, almost as far as the eye can see. Despite the man’s relaxed pose, it’s not magic carpet – but what Ray Anderson hopes to do with it has a kind of magic about it. 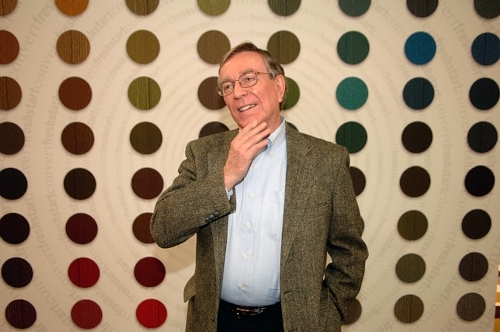 Anderson is chairman and founder of Interface Global, the world’s biggest supplier of “modular carpet” – that is, replaceable carpet tiles – to businesses around the world. 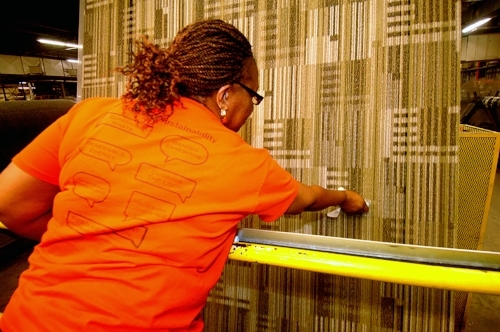 And thanks to a series of innovative recycling processes, this old carpet around us – some originally made by Interface, some by rival manufacturers – is destined to be turned into new carpet, and resold. For Interface, recycling nylon and fibre for carpets – a process it calls ReEntry 2.0 – isn’t a green gimmick. It’s part of a serious attempt to eliminate the company’s impact on the environment by 2020 – by reducing waste, reducing the company’s reliance on virgin resources, and offsetting the rest. If that goal – christened “Mission Zero” – sounds unusual for a $350m, Nasdaq-listed company, it’s because it is. Figures about the environmental impact of US industry have so many noughts on the end as to seem almost meaningless, but let’s try a few anyway. 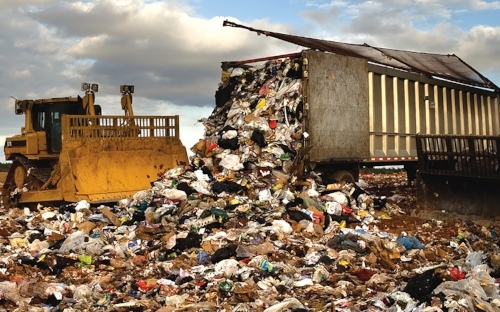 In 2009, it was estimated that US industry threw away around 14 billion tonnes of waste; in 2008, US industry emitted around 1.4 billion tonnes of C02 into the atmosphere (total US emission were 5.8bn tonnes). And given the failure of the Copenhagen’s Climate Change conference in Decemeber 2009, the burden rests more heavily than ever on US business to ‘step up’ where World Governments have failed to. Anderson, himself a self-confessed former “serial polluter”, believes that’s a mess that has to be fixed.Yet the environmental figures that Anderson quotes for Interface – what it calls its EcoMetrics – are staggering in themselves. 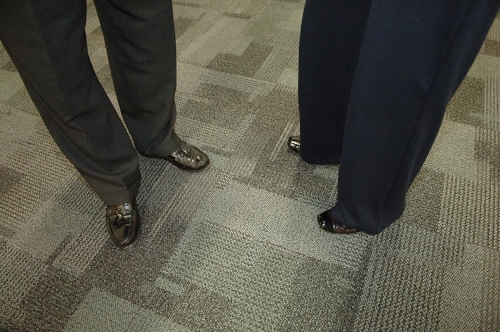 The company, he says, has already diverted 80,000 tonnes of used carpet from landfill sites. Its total energy usage, he says, is down 44% per unit of production; his fossil-fuel-derived energy down 60%. Net greenhouse gas emissions are down 71% against a 1996 baseline – even while the company has grown. And critically, according to Interface, that commitment to sustainability helps the company to survive – by having an impact on the bottom line. Since 1995, according to Interface’s website, it has saved more than $405million – more than its entire market capitalisation today – by redesigning its processes as part of its efforts to climb what Anderson calls “Mount Sustainability”. Not surprisingly, the company now uses its green credentials as a key differentiator as part of its carpet sales – and has even set up a green consultancy arm, known as InterfaceRAISE. And Interface has demonstrated that going green can be profitable – despite the financial crisis and making a net loss of US$0.5m in the first six months of 2009, Interface has recovered well and reported a net profit of US$9.5m for first 6 months of 2010. For today’s business leaders, that financial and environmental story begs an inevitable question. Do we follow the example of Interface, and integrate sustainability into our business models – running the inevitable risks that technology innovation brings? Or do we wait, do nothing, and run the opposite risk: being left behind? To help answer that question, it’s worth taking the example of Google, a company that knows a thing or two about embracing change. Most businesspeople use Google every day – but few know how much energy is used in every Google search they make. Google, however, does – and has gone public with the information. The average query, the company has said on its official blog, uses about 1kJ of energy, and emits about 0.2g of carbon dioxide into the atmosphere. That doesn’t sound like much, but with the number of Google searches a day in nine figures at least, the energy it uses a year will be measured in terajoules(one million million), and its CO2 in tens of thousands of tonnes. Those are two reasons why, three years ago, the company appointed an “energy tsar”, Bill Weihl, to help reduce the energy use of probably the most famous company in the world. The company had worked out that its data centre operations – in other words, its warehouses full of servers running the Google searches we rely on so much – accounted for a significant proportion of its carbon footprint. Further, it realised that cooling systems , such as fans, pumps and air conditioning, were responsible for a huge part of that. The solution, according to Google, was to redesign the data centres – getting construction companies to build them to Google’s own specifications. Green gurus, in fact, have for many years been recommending the kind of long-term thinking that Google is demonstrating now. For example, in their 1999 book Natural Capitalism, Paul Hawken, along with Amory and Hunter Lovins – some of business’ best-known environmentalists, whose book was recommended as a “very big deal” in a speech by the then outgoing president, Bill Clinton – advised that businesses use “whole-system design” in an effort to get more from the natural resources they pay for and consume. As well as offering fertile ground for debate between environmentalists and traditional economists – claiming that if businesses accounted for a combined $33 trillion of “ecosystem services” on their balance sheets, they would see the long-term economic loss caused by degrading the environment – the book was also intended as a rallying call to ordinary businesses: integrate sustainability into your processes, and reap the benefits of going green. In Natural Capitalism, the authors cite the case of a company whose chief designer redesigned a pumping loop at one of its company’s plants in China. The standard design of pump required a total of 95 horsepower – but the designer in question looked at the problem afresh. He decided to use fatter pipes, which meant that he could use smaller pumps and pump motors – which were not only more energy-efficient, but cost less in the first place. Second, he redesigned the layout of the system by laying out the pipes first, before installing the rest of the equipment around them – meaning there were fewer kinks and bends in the system than in a typical installation. As a result of the two changes, the designer had created a seven-horsepower pump – an astonishing 92% saving that went directly on to the company’s bottom line. The name of the designer? Jan Schilham, the chief engineer at Interface Global – whose then boss, Ray Anderson, had put the company on the path to sustainability after earlier being inspired by one of Hawken’s books. In economic terms, it’s arguable that what Interface and Google were doing was in fact very simple – taking a long-term overview of simple economic problems, and finding the best economic solution. But clearly, there is something else going on too – and that is a change in the way people are starting to think about why they do business. And to see it more clearly, take a look at the example of a third American company – one that has more experience than most in climbing Mount Sustainability. The offices of Patagonia, manufacturers of environmentally friendly clothing and gear for the outdoor sports industry, are a bit like a combination between a ski lodge and a college campus dormitory. There’s a homely, cosy atmosphere, with lots of groups meeting together informally – not altogether unlike the culture you might expect at the Googleplex. It helps that, at Patagonia, practically everyone is a surfer, mountaineer or other outdoor sports nut, who understands their customers intimately: Jen Rapp, who works in PR, has climbed El Capitan, a vertical climb in Yosemite National Park, more than once. But the air of laid-back calm at the company goes hand in hand with a firm commitment to the business of sustainability. “We often think of ourselves as outdoor manufacturers – but behind that veneer, we’re a group of environmentalists who are striving to prove to the rest of the business community that building sustainability into your model is not just business-neutral: it’s business-positive,” says Rob Bon Durant, the company’s marketing director. But that culture didn’t come about by accident. It came from a set of core values championed by the company’s charismatic founder-owner, the French-Canadian climber Yvon Chouinard. In his business memoir Let My People Go Surfing, Chouinard explains how, in the recession of 1991, a cash crisis nearly brought the company to its knees. 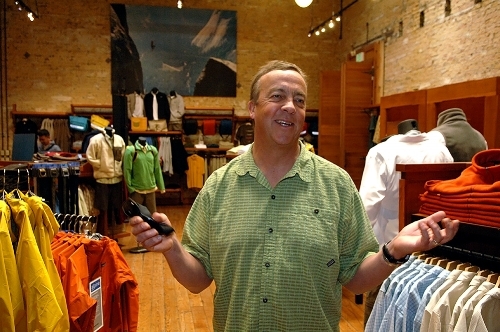 Chouinard and his management team had let growth continue unbridled – to the extent that although sales rose by 20% in 1991, it left the company with piles of unsold stock, because it was significantly less than the growth they had planned. Chouinard realised that the company had become unsustainable – and one of the reasons was that, at heart, the company didn’t know why it was in business. Was it just to make money, or was it something bigger than that? After all, Chouinard had always prided himself on being a maverick, a business leader who didn’t quite play by the rules. During crisis talks, a new strategy emerged. As climbers and outdoor types, he and his staff shared respect for the environment – but sold products made from virgin resources and fossil fuels. So it was time to integrate their respect for the environment into the company – making it the essence of its culture, its business model and its brand. Putting the strategy into effect, Chouinard took groups of staff out into the woods for mini-lectures on the new philosophy. He then adopted a more sustainable approach to both the environment and business growth. In business terms, that meant controlled growth of just 5% a year. In environmental terms, it meant a change in business model: it started making jackets from recycled polyester, in 1993; and moved entirely to organic cotton in 1996. It worked, perhaps for a very simple reason – at its core, making money is about persuading people to give it to you. At Patagonia, both staff and customers are essentially are outdoorsy people who care for the environment; both bought into Patagonia as a sustainable brand. Of course, organic cotton costs more than ordinary cotton; there is also a 20% to 40% premium, Bon Durant says, on a recycled polyester fleece. But Patagonia can justify higher prices by speaking honestly to its customers about its environmental work. That’s why it goes as far as to put details of more than a dozen products’ CO2 emissions on its website – in a part of the site known as the “Footprint Chronicles”. As customers buy into the brand, says Bon Durant, so Patagonia becomes a sought-after place to work. The company gets thousands of requests from under and postgraduates to conduct research about the company, he tells me, that it has to turn most of them down. Other companies can vouch for the energising effect on staff of being a more sustainable company. Gary Hirshberg, CEO of Stonyfield Farm – America’s biggest organic dairy company, now owned by Danone Group – says his company links part of its profit-sharing bonuses to employees to environmental goals – and has an environmental “Mission Action Plan” designed to engage staff further. And he says it works. It’s not just staff and customers who are party to the changes – it’s regulators, investors, suppliers and everyone else who has an effect on your business. As I am interviewing Ray Anderson, businessman and green guru, in his office in Georgia, USA, he reaches over and grabs a piece of paper and a pen. He starts telling me about an ecological economist called Herman Daly who, he says, has a “delightful way” of representing the relationship, as he sees it, between the economy and the environment. It’s the viewpoint of a confirmed environmentalist – a man who, when I ask him how the future will pan out, believes there is going to be “an awful lot of pain to humanity before all this gets sorted out, and humankind comes to grips with its limitations, and the limitations of the Earth”. Looking at the business world, that’s a fair analysis of what has been going on. It’s no longer just those outdoorsy types, for example, who buy organic products: “We know that over two-thirds (69 %) of US adult consumers buy organic products at least occasionally, and about 28% of organic consumers - about 19% of adults – are weekly organic users,” explains Hirshberg. Governments, too, are acting with more confidence when it comes to setting environmental taxes and targets. 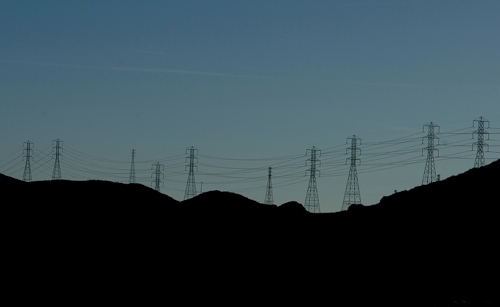 Imagine you run an energy company in the state of California. Whereas in the 1970s you made money simply by generating more power to meet demand – encouraging consumption and energy emissions – now the playing field has been reversed. Under a system called “Decoupling Plus,” incentives reward you not for burning coal, but for meeting energy-saving goals. Thanks in part to the rapid growth of the internet, business models are changing too. Imagine you’re a car manufacturer, and you make money from the replacement of proprietary parts that aren’t built to last. If so, you’re probably well aware of the potential threat to your business from “open-source” eco-car designers – who are not only designing products they hope will be more environmentally friendly than yours, but are also sharing their work with other designers, potentially encouraging the universal interoperability of car parts. In the past decade, Natural Capitalism co-author Amory Lovins points out, there have been increasing numbers of businesses whose models are based on leasing services based on products rather than selling products themselves. Xerox, which turned around its business by moving from selling photocopiers to providing document management services, is a case in point; companies like Zipcar and Flexicar offer to lend you a car whenever you need one as an alternative to car ownership. ““I find these ideas spreading kind of under the radar,” Lovins says. Some businesspeople, of course, will see those changes as a threat. But the green gurus see it as an opportunity – and the more you commit to the goal of reducing waste and emissions, they gurus say, the greater the rewards. “In everything we do, we have an impact on the planet,” says Hirshberg. “That’s true for individuals and even truer for businesses. “Any business leader who doesn’t get this by now is turning down the largest, most lucrative opportunity of this young century: reducing waste and increasing energy efficiency. Companies that figure out how to do both will not only reduce their costs and boost their profits, they’ll win tremendous public support as well. As for Anderson, he’s focusing his efforts on taking that message out to a wider audience than the carpet industry. “If we somehow influence the entire global carpet industry to become totally sustainable,” he says. “it would not be a drop in the bucket. The carpet industry is $25bn, maybe, worldwide.” Walmart and General Electric, he points out, are worth four to eight times that. If you’re a businessperson looking for a way to innovate out of this present economic crisis, it seems the answer might be right under your feet.